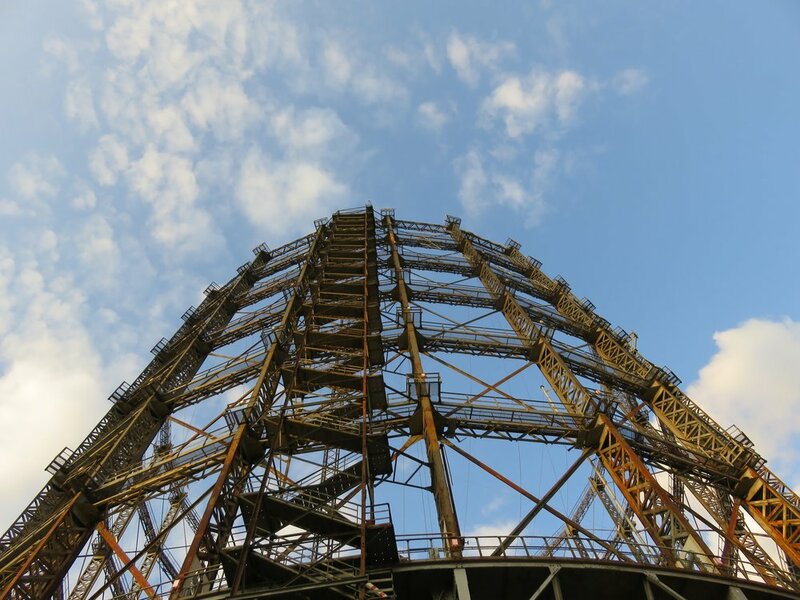 BUILT BETWEEN 1908 and 1910, the former Schöneberg gas storage and supply tank – better known as the Gasometer – remained in active use for over 8 decades. Finally decommissioned in 1995, its skeletal frame still looms over central Schöneberg. EACH SPRING, BERLIN emerges from the frozen temperatures of Central-European winter with an incredible show of color: thousands of cherry trees blooming all across the city. The easternmost stretch of the U1 is, according to rbb, the Berlin U-Bahn's oldest stretch of track. As such, it's set to be cleaned and updated during a 3-week closure in Spring 2018, following on the heels of two other major weeks-long closures (the U7 and the southern Ringbahn). Perigee-syzygy, AKA "supermoon", filmed the night of November 13, 2016 in Berlin. The phenomenon occurs when the moon is simultaneously full and at its closest to earth. While this is the closest such occurrence since 1948, astronomers are quick to point out that the moon during such events is most notable for its brightness - as opposed to its size, which is hard to gauge in an otherwise darkened sky. Built at the turn of the 20th century, when Charlottenburg was still independent from Berlin, the Kraftwerk Charlottenburg sought to meet the robust electrical needs of the wealthy, growing city. Large pipes transported most of the power across the Spree, which built into the structure of an elaborately-ornamented stone-and-metal footbridge, the Siemens-Steg. Over the following century, its output expanded to include hot water and natural gas, and was able to emerge relatively unscathed from the Second World War. EVEN IN A city strewn with such a wealth of abandoned architectural oddities, Schloß Dammsmühle stands out as remarkable—both for its age (the main building is nearly 250 years old) and the remarkable (and infamous) pedigrees of some of its 20th-century owners. Built in 1768, it was alternately improved and abandoned through the Weimar era before being commandeered by the Nazis, and in 1940, Himmler made it his base of operations. Some gems spotted on or around Schlesisches Straße, Kreuzberg during April and May. Plattenbauen in Marzahn. Photo by A. Savin. Aesthetically, Marzahn is something of a time-capsule of the former east, particularly in its housing: as examples of Berlin Plattenbauen go, Marzahn is the ne plus ultra in both quantity and quality. Plattenbauen (“panel buildings”, roughly)—the endlessly-reproducible housing towers that could be stacked indefinitely like brutalist Legos—were one of the trademarks of the former East Germany, along with many other communist countries. These towers of white or gray concrete, accented with whimsically-colored balconies, were megalithic kitsch, sky-high projections of dark whimsicality built to offset crises of overpopulation (particularly, in the case of Marzahn, stemming from immigration from Eastern Bloc countries from the 1960s onward).